Anvil, lanzará su nuevo álbum "Anvil Is Anvil" el 26 de febrero en todo el mundo (excepto Japón) a través de SPV / Steamhammer. El álbum estará disponible en CD estándar, digipack, LP, y descarga digital. Canadian cult metal act, Anvil, will release their new album, Anvil Is Anvil, on February 26th worldwide (excluding Japan) via SPV/Steamhammer. The album will be available on digipak CD, LP, and digital download. 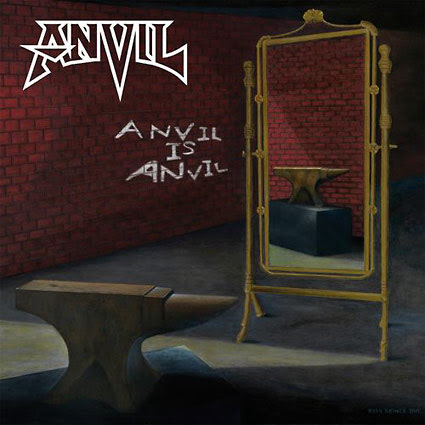 Striving to bypass the labels that have stood between the band and fans for years, Anvil created their new record Anvil Is Anvil with a direct-to-fan approach in mind. Recently, the band teamed up with PledgeMusic to assure that fan connection, but unlike other crowdsourcing campaigns put forth by bands in the hopes of amassing a recording budget, Anvil’s campaign strives to do so while truly providing fans with unique, once-in-a-lifetime experiences and personal, one-on-one opportunities that they will never forget. ANVIL: detalles de su nuevo disco "Anvil Is Anvil"
Anvil lanzará su nuevo álbum, "Anvil is Anvil" el 26 de febrero 2016 en todo el mundo (excepto Japón) a través de SPV / Steamhammer. El álbum estará disponible en digipack (que incluirá un bonus track y un póster), doble vinilo y como descarga digital. 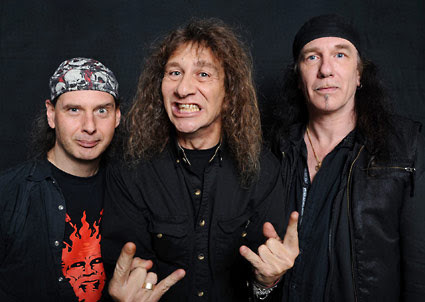 "Anvil es Anvil" fue grabado en octubre en los "Redhead 4 Studios" en Pulheim, cerca de Colonia, Alemania, con el productor Martin "Mattes" Pfeiffer. Anvil is Anvil! A self-confident statement. A band philosophy. And what’s more: a life motto. Anvil is Anvil, that’s the title of their latest album. And the name says it all: an unambiguous, uncompromising recording, typical of this band. At the same time it’s fresh, occasionally surprising and generally exciting through and through. A stalwart metal manifesto by a band who stand for authenticity and credibility like few others in this fast-lived business. “We’re sometimes criticised for never changing,” guitarist and vocalist Lips explains. “But why should we change something we’re renowned for? Isn’t it much more important to stay faithful to yourself? To do what you do best? The idea behind our latest album is: we are what we are, and that’s how it’s going to stay!” For all Anvil fans, this is the best news of the year. And the all-important date for 2016 has already been scheduled: Anvil is Anvil will be released by Steamhammer/SPV on 26 February 2016. So be sure to mark the day in your diary! 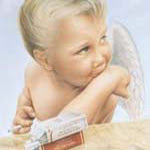 Regarding the cover Robb Reiner ads: "This time around,it was suggested I paint the cover art for the release by brother Lips, after I had come up with the concept and showing him study sketches drawn out. The simple straight to the point composition was much fun to render on canvas in oil. I spent about 6 weeks to complete it"
The new album "Anvil Is Anvil" will be released on February 26th, 2016 (worldwide ex Japan) as a digipak version (+1 bonus track and poster), 2LP gatefold clear version and download. ANVIL: nuevo tema "Die For A Lie"
"Pounding The Pavement" el nuevo disco de los canadienses Anvil comenzará a grabarse en Alemania el 1 de agosto. La banda ha iniciado una nueva campaña de crowdfunding para costear el proceso y espera poder lanzarlo a principios de 2018. ANVIL ha completado la grabación de su nuevo álbum, "Pounding The Pavement"
Anvil ha completado la grabación de su nuevo álbum, "Pounding The Pavement". El baterista Robb Reiner, afirma: "El nacimiento de las canciones ha dado lugar a un clásico de oro de ANVIL. Sin duda, todos los fans encontrarán canciones que emergen como sus favoritas. La mezcla se hará pronto. ¡Estamos muy emocionados por oír pulida la crudeza del metal! Gracias a la campaña de donaciones por apoyar el proyecto". Canadian cult metal act ANVIL has completed recording its new album, "Pounding The Pavement". Drummer Robb Reiner states: "The birth of the tracks has yielded much classic ANVIL gold!! Without doubt, all pounders will find songs emerge as their favorites. Mixes of tracks to flow soon for us. [We're] very excited to hear the polished rawness encased in smashing metal!! Big, big thanks to the pledge campaign pounders in supporting the project!" 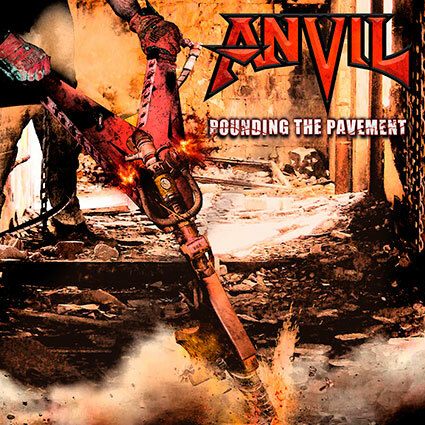 ANVIL: detalles de su nuevo disco "Pounding The Pavement"
El nuevo disco de Anvil, "Pounding The Pavement" saldrá a la venta el 19 de enero de 2018 a través de SPV/Steamhammer en digipak (+1 bonus track y poster), doble vinilo en color, descarga y streaming.